Our end of the design business is boutique by nature. The word “boutique” means a small specialty shop. And while we design projects from large, grand and elaborate hotels and premier residences, we like to feel that we too are a specialty shop. You get individual, personalized service, and especially custom, unique designs. While we love to work in and around Sarasota, our work and clients take us all over, as well as to new heights. 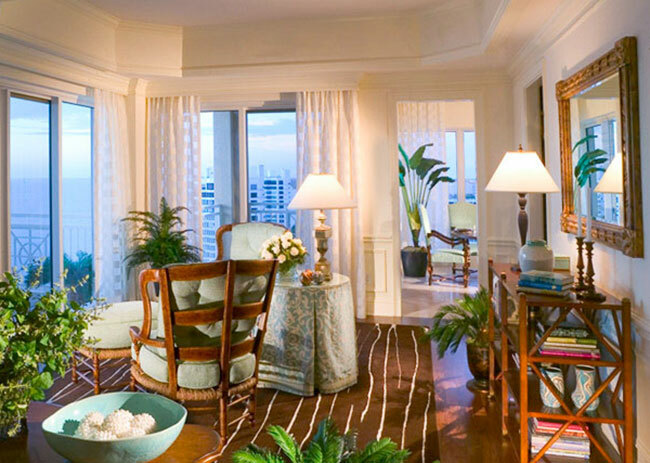 One of our clients, for whom we designed a lovely penthouse at The Tower Residences at The Ritz-Carlton, Sarasota, called a short time later to say they had sold their house and were wanting another penthouse. They found one in their other town, which is Washington, DC. 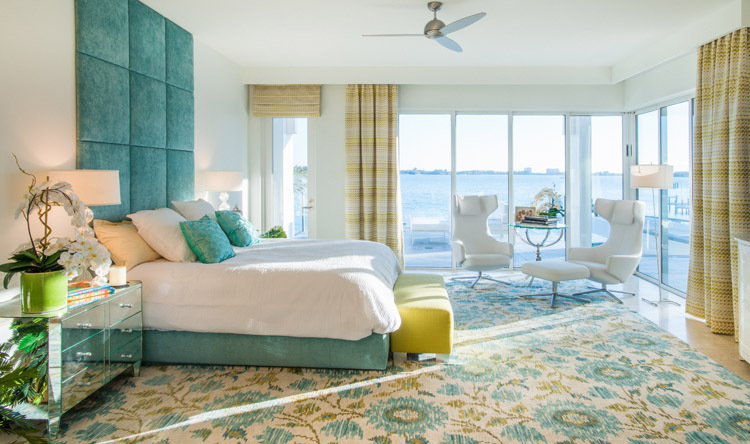 His work and their family keep them anchored there, while also spending as much time as they can in their beautiful Sarasota home. Sarasota! What better place to let the outdoors in and live in the outdoors! So much of our year has balmy breezes and minimal bug-life that you can spend a great deal of time either in the sun or under cover. Either way there are many ways to enjoy comfort and luxury while enjoying nature’s gifts. 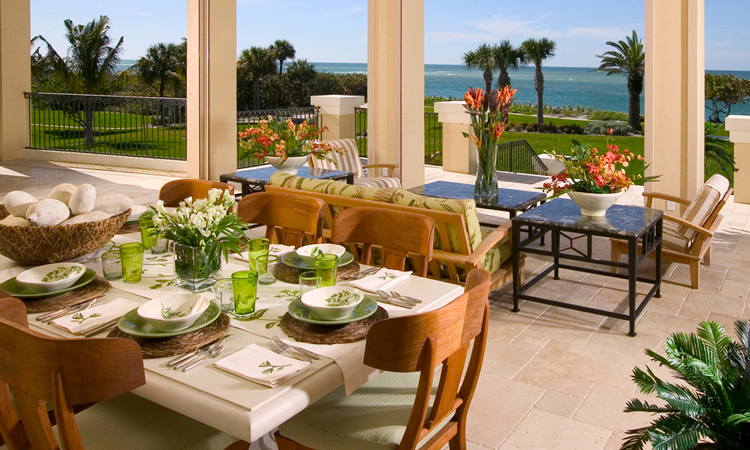 One of the ways we like to use the outdoors is an architectural feature often called a “loggia”. This is often a terrace with a roof, sometimes part of the structure of a house, sometimes a free-standing pavilion. We often furnish them with handsome teak-framed furniture (from sustainable forests, of course). We love they way this develops a beautiful silvery patina in just a few years. We use loose, thick and luxe cushions on them, covering them with the new indoor/outdoor fabrics. These are made of acrylics which are now being made to look and feel much more like cotton yet hold up against rain and are resistant to mildew. They dry quickly too. 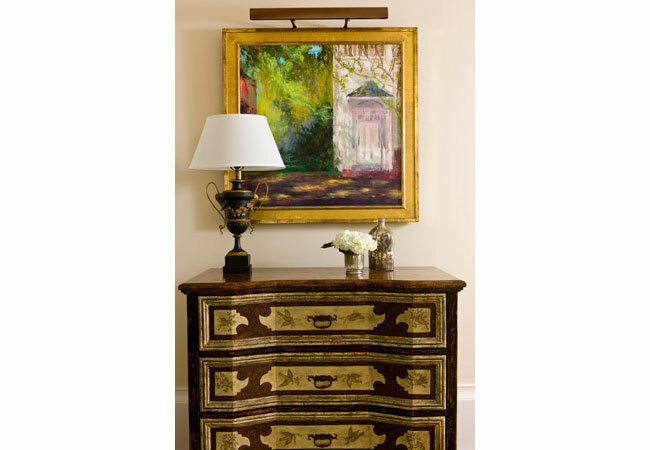 They can come in bright weaves and marvelous prints that can be bold and tropical or quiet tones for subtle and quiet rooms. One of the things so many of us love most about Sarasota is that it is casual, but also elegant. We dress casually but elegantly, achieving this look with sometimes just one small detail: a stunning necklace with white jeans, or perhaps a silk handkerchief in a sportcoat pocket worn with blue jeans. We have so many elegant places to go: fabulous restaurants, The Van Wezel, The Asolo, festive social events and a myriad of other cultural and social venues. Being casual but elegant is a great way to be comfortable but still look and feel appropriately and beautifully dressed. One of the pleasures of this time of life is the simplification of our personal lives, as the world itself seems to becoming more tumultuous and complicated. Between the blaring of TV’s and noise everywhere we turn, and the abundance of information and data being thrown at us, the sanctuary of the home is our place to restore peace, quiet and balance. Our schedules are intense, and much of that is fun and stimulating. We welcome it. But at the end of a day, we want a little solace and respite from it all. 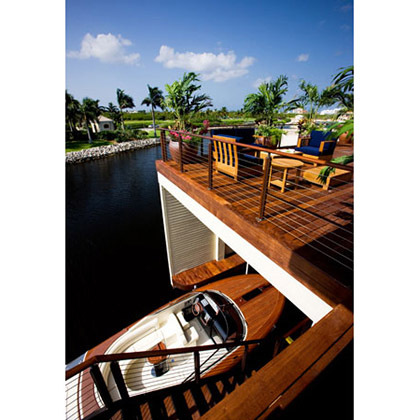 What could be more fun than having a house on one of our many beautiful Sarasota waterways and having a boat with the house as well? Well, not much, as long as the house is in Sarasota, Palm Beach, Naples or some other gorgeous locale. 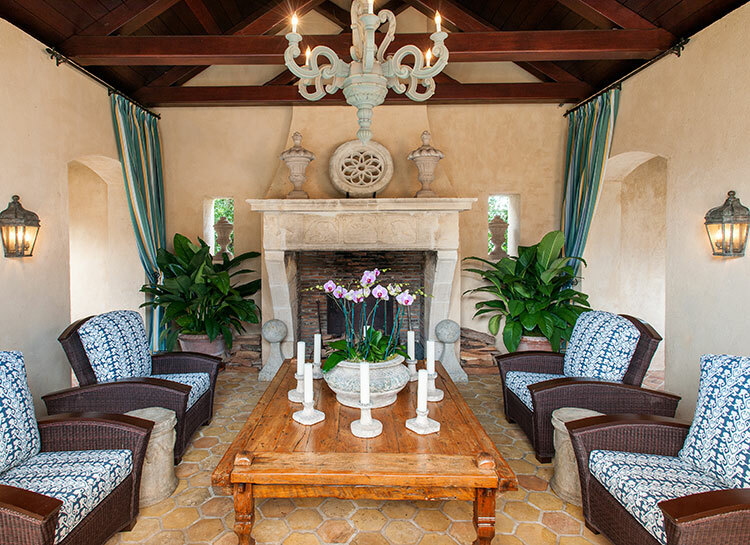 On this theme, I thought it would be entertaining to write about a project we completed in the British West Indies. The project is 19 Deckhouses at The Ritz-Carlton, Grand Cayman. 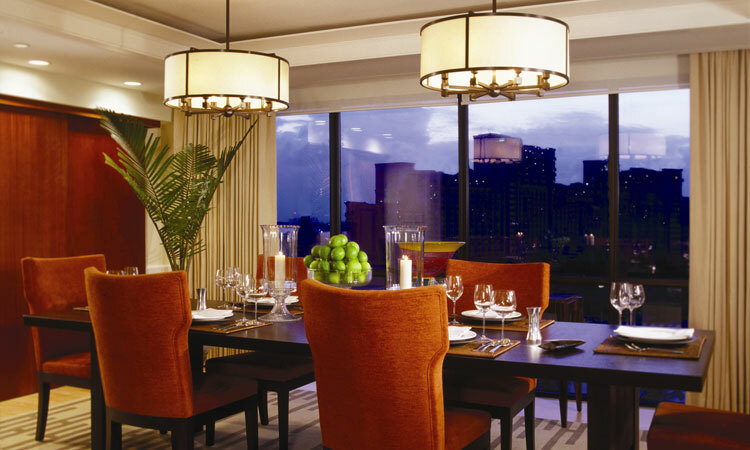 These are individual luxury homes with all the services of the nearby Ritz-Carlton. Each home includes an Aquariva Super yacht made by Riva with a beautifully crafted boathouse integrated into each home for the ultimate in convenience and luxury. Riva is an Italian yacht builder who is known for extremely elegant, fast, antique-styled wood watercrafts. Your Aquariva Super is your transportation of choice at your “best of land and sea” Deckhouse. There is lots of talk and awareness of “Modern Design” today, so I thought it might be interesting to explore the history of how this design style evolved. Florida is a place known for its Modern Design heritage, and in fact, has numerous wonderful examples of this design dialect. Let’s look at a bit of history first. Design is all around us, whether we are aware of it or not. Any time a human being has applied paint to a pot, adorned a garment, or manipulated a surface to make something utilitarian more pleasing, design has happened. 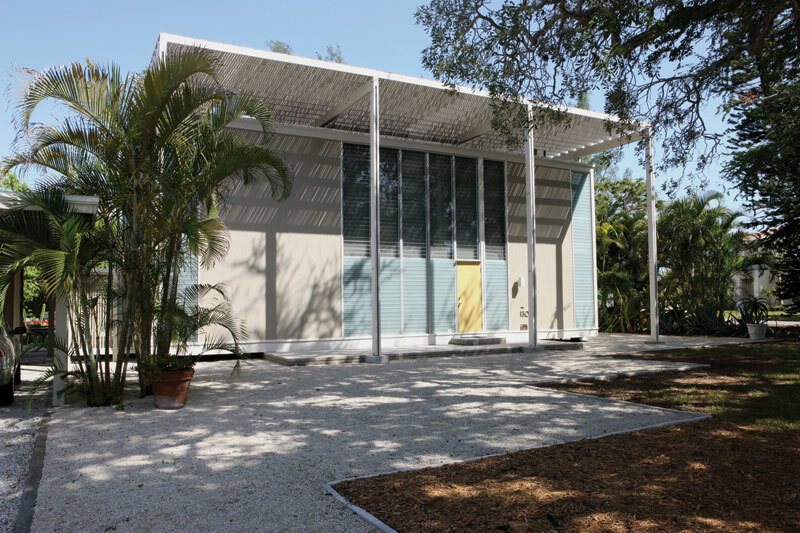 Recently we were talking about Modern Design, and we thought it would be good to continue the conversation more specifically focused on Sarasota itself and the “Sarasota School”. It is interesting to recall that this “modernism” is now more than 50 years old! While that is certainly true, it is also true that as one drives around Sarasota and occasionally sees the houses and buildings from that time, they retain a freshness and originality that is still stunning and inspiring. Previously, I wrote about the art of framing. Now, after spending a few weeks searching the art markets for clients, it seems appropriate to write about the selection and purchasing of art. The phrase, “Beauty is in the eye of the beholder,” is never as true as it is with art. Even educated and totally knowledgeable art critics can have different views on a particular piece of art. 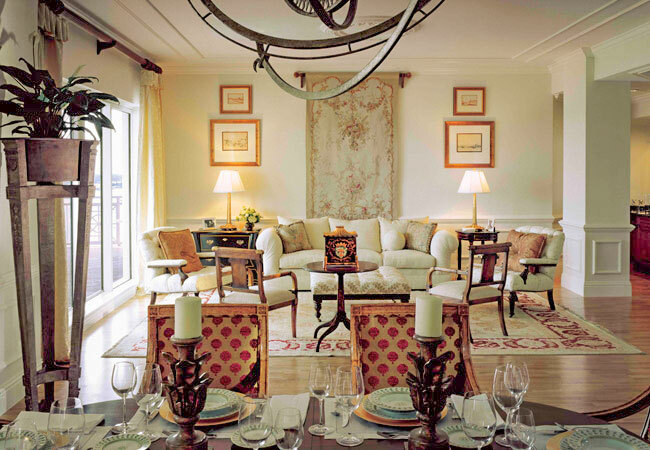 In past columns, I’ve written about lighting, color, furniture placement and other elements of successful interior design. In this column, I’d like to write about the how’s and why’s of framing artwork. But first, let me share with you an adventure which brought me to this column’s topic. It was difficult to leave Sarasota and fly to DC rather than spend some well-deserved time at the beach. But I did, and it was for a good cause. I had been asked to assist The Prince of Wales Foundation in their endeavor to preserve traditional artisan crafts (such as gilding, wood and stone carving, wrought iron and stained glass making) not only in Great Britain and the U.S., but around the world. Capturing the essence of Palladian architecture, The Concession Golf Clubhouse has now opened its doors and is graciously welcoming residents and enthusiastic golfers. 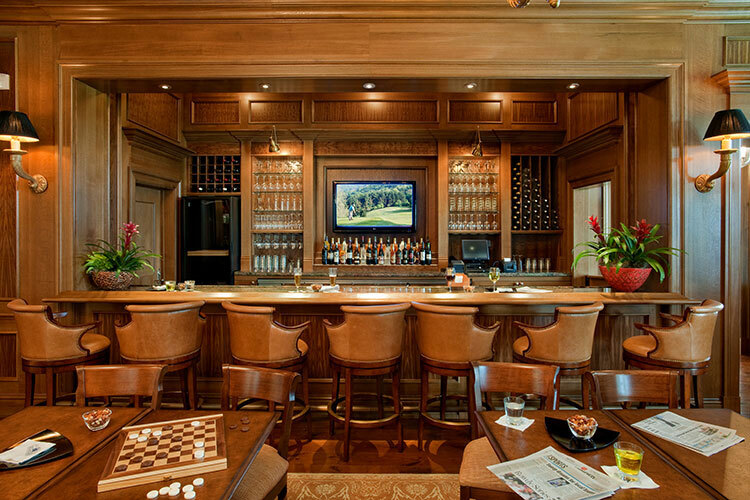 Refreshingly elegant, The Clubhouse was expertly designed to introduce a new golf clubhouse concept utilizing an innovative color palette, sophisticated finishes and a brilliant use of space allowing for breathtaking golf course views from every interior room. One of the things we like to do in our work is to celebrate the place we’re in. If we’re in the mountains, be rustic and bold; if we’re in the city, be sophisticated and urbane; and if we’re at the beach, then be casual and light. 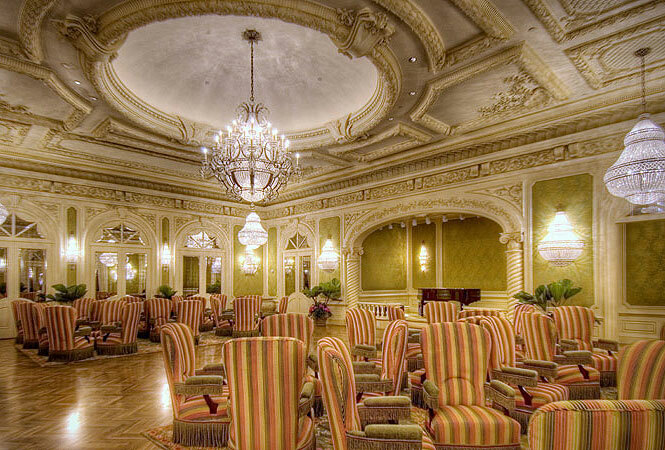 My first project in the Sarasota area was working on The Ritz-Carlton. We had done other projects for The Ritz in locations across the country, but when I first came here to look at the area and start working I knew this was someplace special. And by the time we were done with the project, I was looking for a home to call my own here. Somehow, you just know when a place is right. It feels like home. For me it was the warmth, the light, the colors of the sea and sky, the drama of the sunsets. Recently, we spent some time talking about the practical, solar control aspects of window treatments: sheers, solar shades, venetian blinds, plantation shutters and the like. That’s all well and good, and a prime need, especially here where the sun can be so intense. But there is another reason to treat windows, and that is somewhat less functional and significantly more design oriented. And that, of course, is having to do with the embellishment of windows. 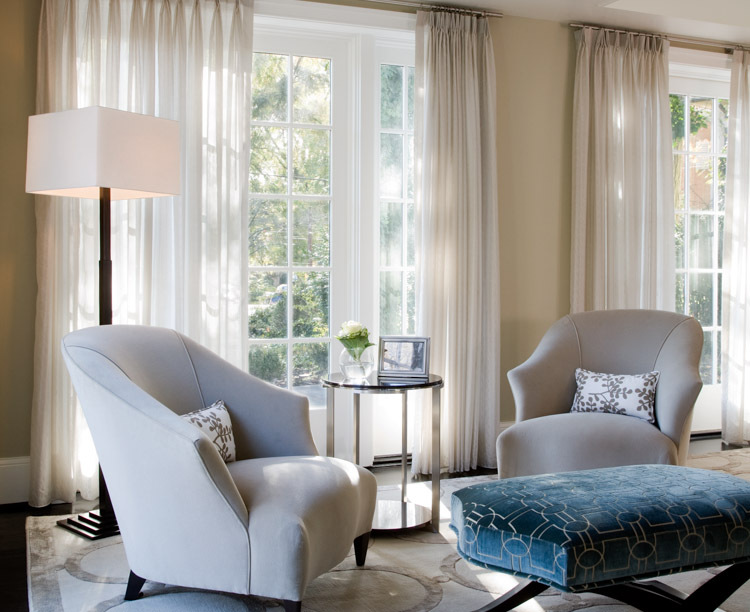 Fabric treatment of windows can be stark and severe, or it can be exuberant, lush and over the top. Both have their place and depending on the nature of the space, the architecture, the client and the budget, each can be appropriate. It is amazing how intertwined art is with design. The two words are almost synonymous. Previously, I’ve written about buying art and how to frame it, and we have published numerous articles about various facets of design. In this article, I’d like to write about having art actually created on the surface of our interiors: truly blending art with design. 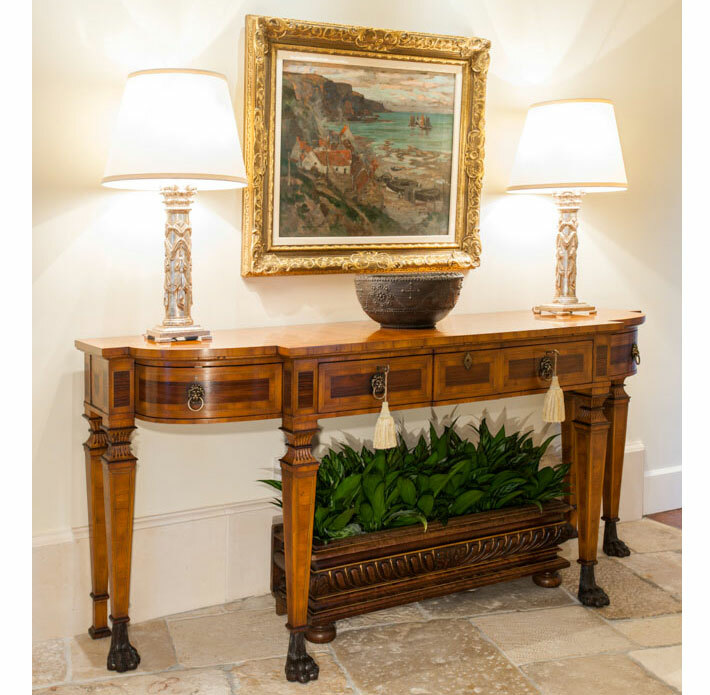 We have long been an admirer and proponent of painted surfaces and have often used artists and craftsmen to embellish limited surfaces of a home. Like most things, if overdone, they lose their impact. So when we have used them to make a statement, we surround them with more subtle surfaces; when we use them more prolifically, we make them more background, using less bold tone-on-tone glazes and finishes. Often people ask us, “Just how do we start a design? What are the first things we do?” Well, there is a lot that we do prior to starting, such as research, lots of listening, etc., but when we actually start to design, we often start with the rugs. 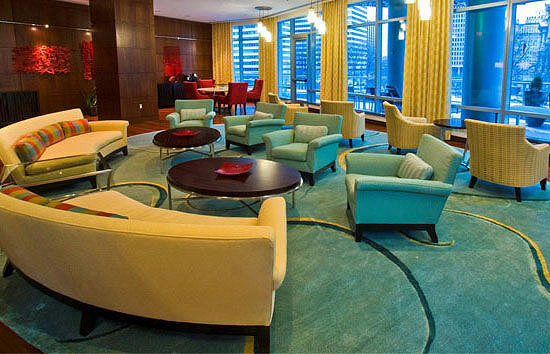 Usually a color palette is “built up” from the selection of rugs. As we designers like to say, “It is easier to find a fabric to go with a rug, than a rug to go with a fabric.” So often we start by defining the color palette with the rugs. Rugs can be many styles and colors. Whether we like it or not, televisions are here to stay. They are in our lives, for some of us, from the moment we wake up to the last thing we hear or see at night. And all through the day, it seems there is hardly a place where there isn’t a screen flickering with some urgent image. Whether it’s your lifeline to the world and staying in touch, or following your favorite program, they are everywhere. We, of course, as designers try to find ways to make televisions accessible, when and where our clients want them, and also to make them discrete or disappear when they don’t. 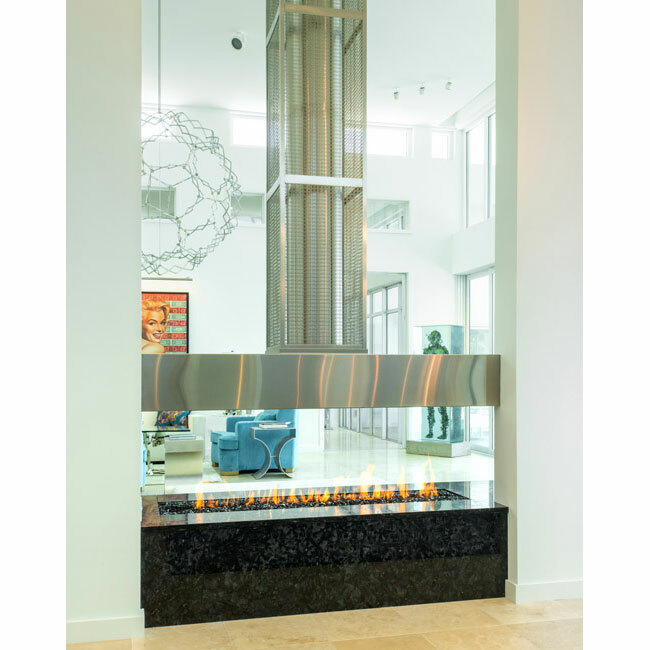 In other articles, we’ve written about the beautiful Florida sunsets and skies, the special colors we enjoy in our gorgeous natural environment, and of how we use all of these elements to enhance the interiors we create. We spoke of sparkling azure blue, clear aquamarine, and effervescent sea green hues. The neutral effects of soft whites and sand colors completed our palette. So how do we make the most of these incredible colors and truly show them to their best advantage? The answer is Lighting, with a capital L.
In an earlier article, we wrote about all things that speak of our beloved Florida: glorious sky and sand, lush flowers and foliage, striking sunsets and sunrises, and most importantly, our beautiful and abundant waters. Almost everywhere that one drives, bikes or walks in this beautiful state, we are blessed with incredible water views. It is an element that makes Florida so special and unique, and which instantly relaxes the visitor as well as the long-time resident. 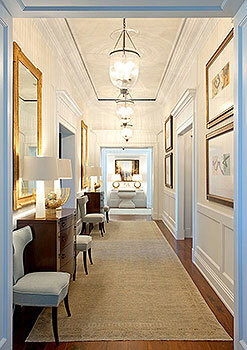 We’ve talked about many elements of interior design in previous articles, and we have a few more to go! One very important component of a great space is windows. They are in every room, they control light and air, and they give us an opportunity to add decoration, so this article is dedicated to them. First, let’s talk about the reasons why we treat windows. There is obviously the decorative element: draperies and fabrics add a softness to a room and an opportunity to coordinate other elements and fabrics in a decor. But there are practical reasons as well. One is solar control. Draperies can be closed to darken a room, blocking out light and the damaging, fading rays of the sun. In addition, closing the draperies assists in reducing heat gain into a room and thereby lessening the need for air conditioning.